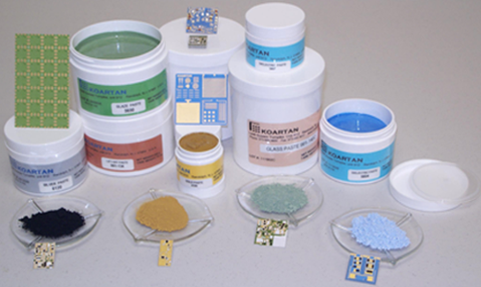 Koartan is a microelectronic interconnect materials supplier of thick film pastes. The product line includes silver and gold based conductors, dielectrics and glazes, resistors and thermistors, capacitor materials, substrate plug pastes, etchable conductors and specialty products for a wide variety of electronic applications such as wireless and medical devices, automotive, microwave, consumer electronics and sensors. Supplies thick film paste to the microelectronics interconnect world of medical devices, automotive, wireless devices, microwave and consumer products. 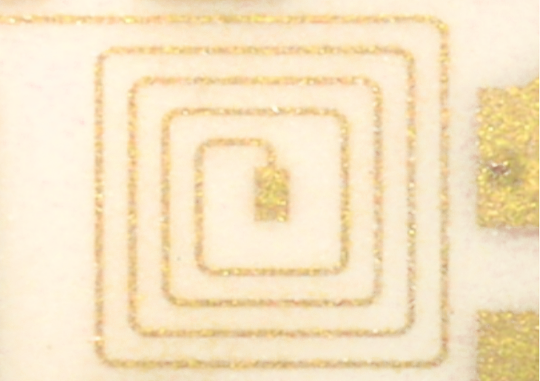 Micrograph of a fine line (0.0013") circuit showing a serpentine inductor.